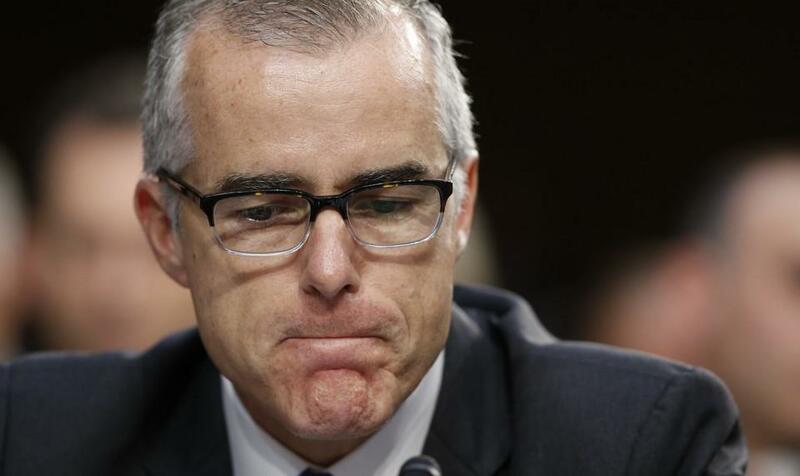 Andrew McCabe, a former acting and deputy FBI director who had drawn the ire of President Trump, was fired by Attorney General Jeff Sessions late Friday evening, a decision that raises troubling questions about the independence of both the Justice Department and the FBI. Trump and his associates are a focus of Special Counsel Robert Mueller’s inquiry into Russian interference in the 2016 election, and McCabe’s firing could send the message to federal law-enforcement officials that they risk their jobs and reputations if they displease the president. The attorney general will publicly testify before the upper chamber’s Intelligence Committee on Tuesday in response to former FBI Director James Comey’s dramatic appearance last week. After a closed meeting with Rod Rosenstein, senators say the deputy attorney general "answered a lot of questions but declined to answer a lot, as well" about the firing of FBI Director James Comey.